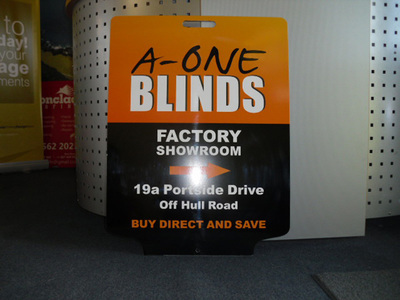 Looking for an economical way of quickly attracting passer-bys? 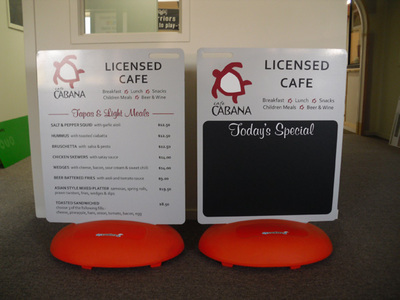 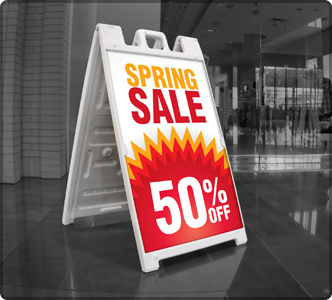 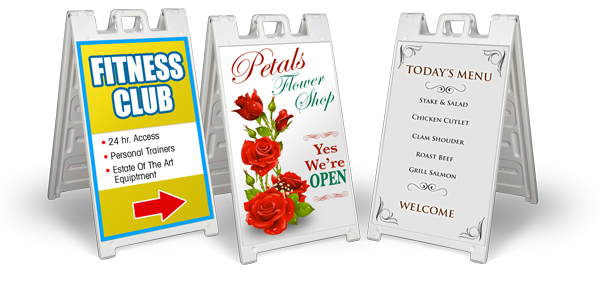 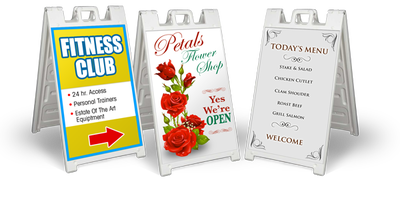 Whether it's a sandwich board, a pavement sign or an A frame board these signs all offer a practical and stylish eye catching outdoor display. 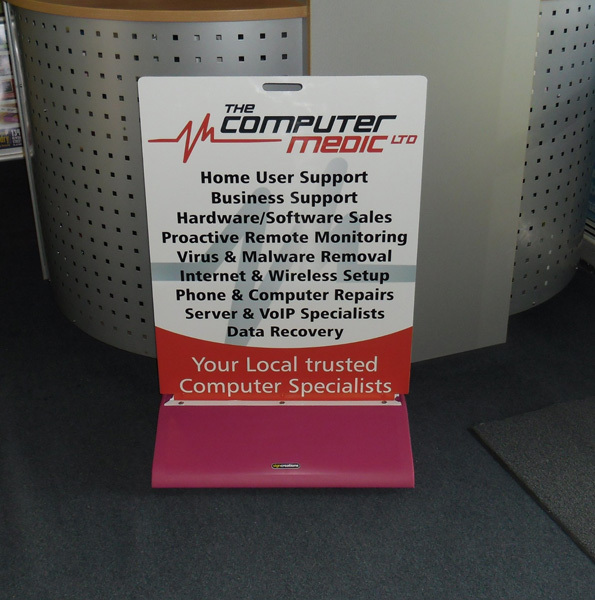 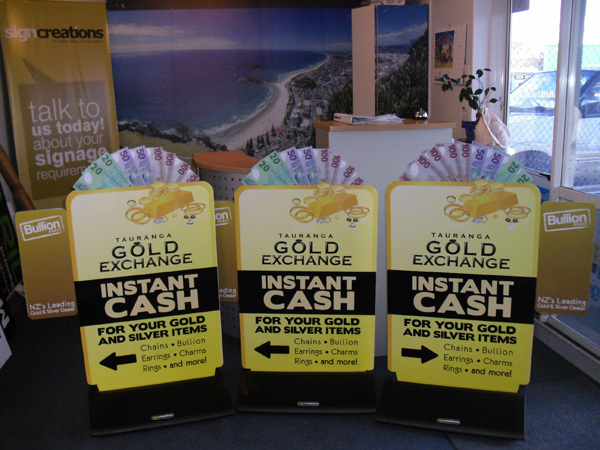 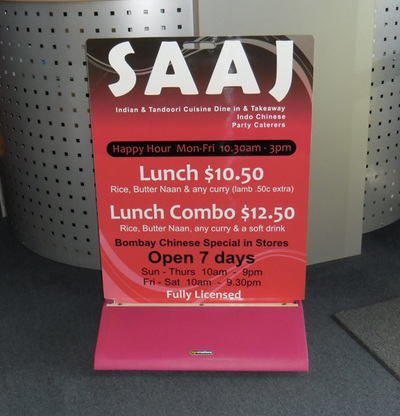 The signs are large enough to show your latest special offers or shout about what's new in-store. 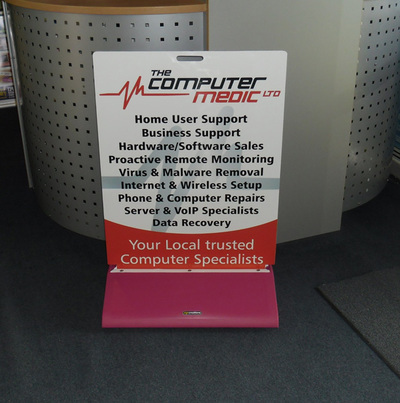 A full range of high quality footpath signs available, including polyethylene-based PVC signs to promotional corflute. 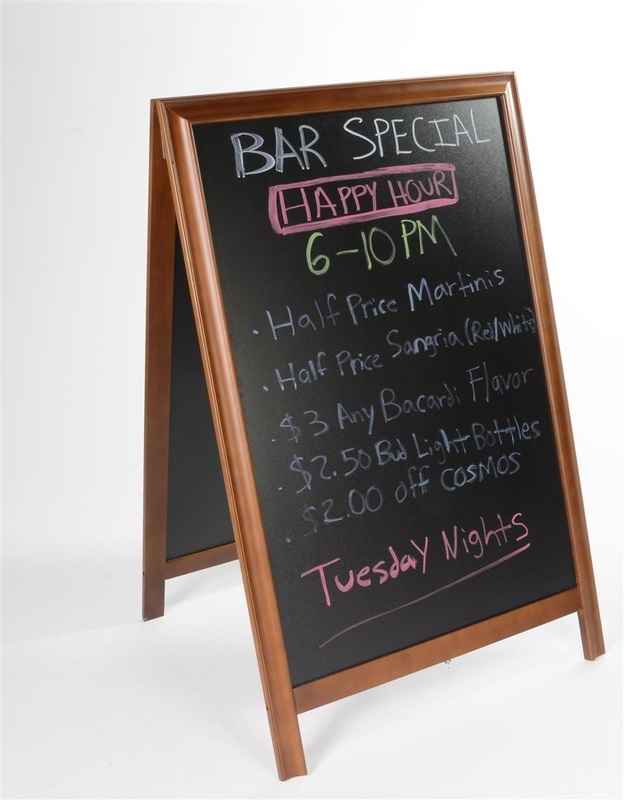 Numerous base options, including water bases. 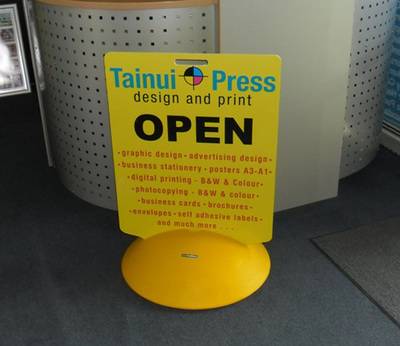 UV stabilised to with-stand windy conditions.